When it comes to operating any kind of equipment, safety precautions should always be taken into consideration. And there are must have safety accessories when using a drill machine that should be followed. Accidents do happen even if you use electric drill. So it’s important to not only protect yourself while you’re working with a drill but also anyone else who may be around. Safety accessories also increase your productivity. Before operating any type of equipment read the manual and power drill safety tips. It is important to know how the drill machine works and its limitations before you start using it. Whether you are working with concrete, wood, metal, glass or plastic, wearing safety goggles or a full face shield is an absolute must when operating a power drill. You can wear a full face helmet or a perfect eye glass. The last thing you want is a foreign object imbedded in your eye. It also protects you from any splash back from the cutting fluid/oil. This is something you may not even think about, but if you have long hair it would be a good idea to either tie it back or use a hair net so that it’s not hanging down and in the way. The speed at which a power drill operates could have your hair tangled and ripped out before you even really knew it was happening. If your drill machine comes with a drill press guard then keep it attached and use it. Just keep in mind that it’s never a good idea to make adjustments to the guard if the machine is turned on, so always remember to turn the machine off before you make any adjustments to the guard or shield. 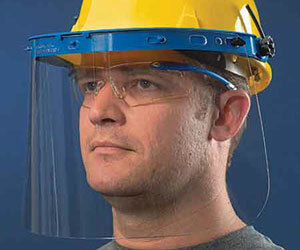 Drill press guards and safety shields will also protect your eyes from flying shards and the cutting fluid. When cutting any type of material there are going to be jagged and sharp edges. Wearing gloves protects your hands from these jagged and sharp edges and since the garage isn’t the cleanest of places, gloves are an especially good idea when you are using cutting fluid/oil. Why risk a possible cut and infection when donning a pair of gloves can prevent it. An apron is another essential piece of equipment because it protects your torso from flying pieces of debris and it also protects you from the cutting fluid/oil. An apron also helps to keep any loose clothing you may have on away from the turning tools. When you are drilling, you’re most likely going to need assistance in keeping the item steady and in place while you use the drill machine. A drill press vice will keep things clamped tightly allowing you to drill, tap, ream, or grind. A press vice or clamping system is necessary because of the torque put out by the machine and will prevent what you are working on either flying up or spinning off the table. Vices and clamps are especially a good idea if you are working with smaller pieces because it keeps your hands away from the drill itself. If you are new to working with a drill machine don’t just assume you know what you’re doing. Always familiarize yourself with the manual and safety precautions before beginning any project, because any handyman or contractor will tell you that accidents can and do happen, even to seasoned drill machine users. If you are into DIY or automotive projects, you must know these power drill safety tips. These will not only help protect you but also keep your tools in a proper state of repair always. Firstly, you should have a good corded power drill. You should read some best corded drill review before buy one if you have not any drill machine. You fit the bit into the chuck using the key to loosen or tighten the chuck. To fit the right bit into the chuck, follow the instruction sheet shared by the manufacturer. Optimize your power tool by selecting the attachment or bit of a suitable size. Always make sure the drill is suitable for the work you are doing and the material you are using it on. One thing to ensure is that the bit is properly seated and tightened in the chuck. You can drill wood with a general drill machine but you should have a good hammer drill for concrete. In the same way, check with the other attachments too and as a general rule, use the second or auxiliary handle for continuous or large operations. You must have safety accessories when Using a Drill Machine. Protect your face with a shield or safety glasses. Safety accessories reduce accidents & increase productivity also. 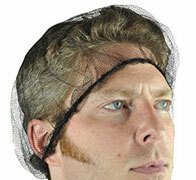 These protect the face from any shards and parts that may fly off the surface you are working on and the drill. Keep the air vents on the drill clear for adequate ventilation and make sure the drill bits are always sharp. The drill cords should always be clear of the cutting area. This can be done by ensuring there are no frayed or damaged wires before every use. Always disconnect the power supply while adjusting or changing the bit and attachments. The chuck should be securely tightened and the key removed before starting the drill. It will offer better traction to hold the work piece securely before you being drilling. Reduce the rate of feed before you break through the surface. Always drill a pilot hole before drilling the large ones and use a clamp stock when working with small pieces. And never drill with one hand while holding the piece with the other. Do not work with bent drill bits. 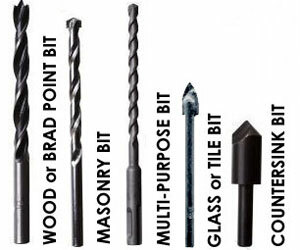 Each bit has a maximum drilling capacity so do not exceed it. Never use the hole saw cutter minus the pilot drill. You should not use the high-speed steel bits without using lubrication and cooling. If the bit is jammed, do not attempt to start and stop the drill. Just unplug the drill and unscrew the bit from the drill. Never risk reaching around, under or over the stock being drilled. Make sure you keep proper balance and footing while using the power drill. Additionally, be careful not to raise or lower the drill by its cord. As it is a power tool, never use it in muddy or wet places. Water is a universal solvent and it dissolves salts that make it a very good conductor. After cleaning your corded drill machine, you should dry them well. Ignoring this simple safety measure means you are at the risk of being electrocuted. If you must work in such places – use a manual drill. A clean space means organized and functional space. It will not only make the work space safer but also increase productivity. In construction, it is obvious that the work space can get messy, dirty and topsy-turvy. Always clean the workplace, the tools and drill machine before and after. Work can be so exhausting but sharing it with someone makes it more tolerable. Whether you are working on a DIY at home or use the drill machine for a living, doing a project with a buddy actually has its own perks too. Working with a partner can save time, effort, money and at the same time increase productivity in the workplace. Having a partner also means looking out for safety is doubled. In all aspects of life, too much of anything is bad. Do not expose yourself too much on the drill machine, and do not overwork. Rest your eyes every 30 minutes. Drill works can be so detailed that sometimes focus is needed and this can be straining to the eyes. Take a break and do not expose yourself to loud noises for very long, this can cause trauma to your hearing. Lastly, take care of the tools you are using. Well-maintained tools help do the job better and the worker safe. Always check its parts, clean it often, and do not try to fix it by yourself. Always seek professional help. In conclusion, Reduce the hazards by avoiding baggy clothing that has long sleeves. Loose hair or jewelry can be hazardous when operating the drill as these can get caught in the tool. Last but not the least, use a proper drill stand to get a better grip and reach over the material.